When I moved out of my parents’ house, I was given many of the standard items it takes to make up a home — a frying pan, a hamper, a few pieces of silverware, some plates — but also a strange little device: a kind of sharp, two-pronged trident with a plunger at the end of the handle that, when depressed, moves a small metal bar down along the tines. It’s an olive extractor, enabling you to spear an olive from the bottom of the jar, then eject it into a glass — which held, it went without saying, a bone-dry gin martini. [%image reference-image float=right width=400 caption="In her house, vermouth was uncouth. "]In my family, vermouth was almost a dirty word. Too much vermouth, and you might as well be drinking vodka. A sad, dusty bottle of Martini Bianco sat in the liquor cabinet to be waved over cocktails; poured into a glass and then dumped down the drain; pointed towards Italy; measured out by the capful into shakers; and many other scrapingly meager applications. I took this attitude with me out in the world, calling vermouth a drink for old ladies, for people who were too wimpy for a real martini, a dry martini, the preferred drink of Hemingway, Churchill, James Bond, and me. The first time I had a martini with a real slug of vermouth in it, I was shocked, because it was absolutely delicious. Instead of gritting my teeth through a punishing glass of teeth-achingly cold straight gin, I was actually enjoying it. Vermouth simply balances gin, adding sweetness, a rounder mouthfeel, and a slight bitter edge to what is frankly often an unbalanced-tasting spirit, all aromatics and no substance. Vermouth is made out of (usually inexpensive) wine, which is why you can buy it at the grocery store in many states. Typically fortified with brandy or neutral grain spirits, vermouth is also highly aromatized with herbs and spices, giving it a distinctive savory-sweet taste. There's a lot of terminology associated with vermouth, much of it overlapping and confusing. Broadly speaking, “dry,” “French,” or “white” vermouth is clear or pale gold, slightly sweet, and aromatized with a light hand, often with notes of citrus and green herbs. Dolin Blanc and Noilly Prat are classic examples of this style. “Sweet,” “Italian,” or “red” vermouth is darker in color, ranging from caramel-hued to coffee dark, and is sweeter, more heavily aromatized, and sometimes more bitter than its lighter counterpart. Martini Rosso and Carpano Antica are two popular vermouths in this category. To further complicate the landscape, some vermouths (both red and white) are described as “China” (pronounced KEE-nah) vermouths, after the cinchona bark used to add a bitter, astringent quality, much like many spirit-based Italian amaros. Dubonnet and Punt e Mes are two tasty examples of china vermouths. I am not alone in my discovery of the delights of aromatized wine. The last few years have brought a resurgence in the fortified-wine sector, thanks to the popularity of classic cocktails and their old-timey accoutrements. While port and sherry still struggle to shake off their nursing-home connotations, many wine shops and higher-end grocers are beginning to carry an expanding collection of vermouths. Many of the venerable old production houses have made their products for hundreds of uninterrupted years. Now, new producers (and even some domestic ones) are joining the ranks, and the diversity and range of vermouths available provide plenty of territory for happy exploring. Vermouth isn't just indispensable in certain cocktails; it's also delicious on its own, and ideal for cooking. Here are a few things to remember. #(clear n1). Proper storage is critical. Vermouth is a wine, not a liquor, so once a bottle is open it should never be kept at room temperature. Instead, keep it capped in the refrigerator, and it should last at least a month or two. That half-full bottle in the back of your liquor cabinet from a previous presidential administration? It will make an excellent drain cleaner. #(clear n2). Drink vermouth before dining. 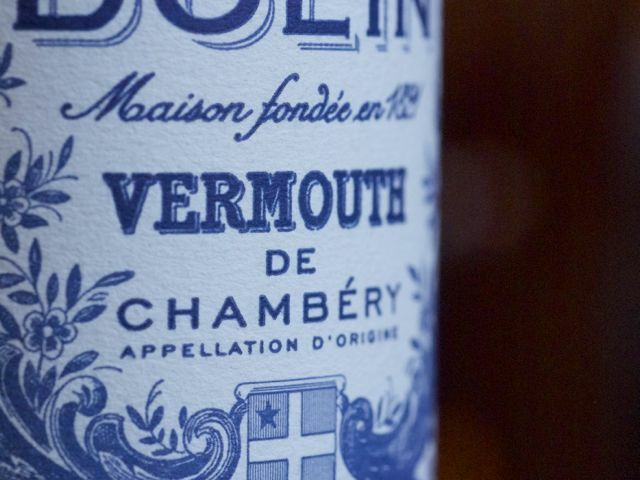 Quinquina, china, kina, and chinato are all words used to refer to vermouths that have been bittered with cinchona bark. These vermouths tend to be consumed before a meal as aperitifs — in fact, the aper in "aperitif" comes from the Latin word for "open." These drinks are literally intended to “open” the palate. Aperitif vermouths can be either light or dark in color, though many of the favorites are light, and are often served with soda water and a twist of citrus. Cocchi Americano, an almost clear vermouth with more pronounced bitter notes, is a good choice, as are the two slightly darker vermouths from Imbue, a producer based in Portland, Oregon. #(clear n3). Vermouth is great for cooking. An open bottle keeps longer than white wine, and its herbal characteristics can add an extra dimension of flavor to a dish. Avoid heavily bittered vermouths here; instead, choose something drier and lighter. Gallo, an inexpensive brand found at many grocery stores, makes a perfectly respectable deglazing agent for a risotto pan, while mussels steamed in Dolin Blanc with fennel and shallots are more complex than those steamed in wine alone. #(clear n4). Drink vermouth after dining. Digestifs are often assumed to be either full-strength liquors or syrupy sweet liquors, but aromatized wine can also make an outstanding after-dinner drink. Punt e Mes and Carpano Antica, both manufactured by Fratelli Branca (the same producer responsible for Fernet Branca, another popular digestion aid) are quite dark in the glass, with both an appealing sweetness and strong bitter notes that help settle the stomach and reduce feelings of over-fullness. #(clear n5). Martinis are better with vermouth. Martini purists, as noted above, generally shun the addition of vermouth. But I prefer my martinis with vermouth. (These days, I actually prefer Julia Child's favorite, the Reverse Martini: a glass of vermouth with a small float of gin.) A ratio of four parts gin to one part vermouth is a good place to start, but don’t be afraid to lean a little further either way. The ideal vermouths to mix with gin for a martini are exceptionally light, crisp, and dry. Noilly Prat is not only a terrific name for the odious headmaster of a fictitious British boarding school, it’s also the dry white French vermouth that’s been used as the martini standard for decades. Noilly Prat recently changed its recipe, sending us the sweeter, more herbal version Europeans have been drinking all along. I prefer it — but the Wall Street Journal,_ amusingly, does not. Dolin Blanc is apparently now an acceptable substitute if you’re trying to blend in at an investment-banking mixer. #(clear n6). I'll take Manhattan. The Manhattan was the second cocktail I learned how to make, and the first I really loved the taste of. Classically made with two parts rye whiskey (but often actually made with bourbon), one part sweet vermouth, a dash of angostura bitters, and a maraschino cherry, Manhattans are a more soulful cocktail than the martini, but just as potent. Vya is a California-based vermouth manufacturer of a sweet red vermouth that makes a terrific Manhattan. #(clear n7). And the Negroni. My favorite vermouth cocktail, the Negroni, is both strong and flavorful, as easy to mix as it is to drink. Negronis are enjoying a burst of popularity right now thanks to the trendiness of amaros. A classic Negroni is one part gin, one part Campari, and one part sweet vermouth. The Negroni’s simple structure lends itself to experimentation; try substituting a bitter vermouth like Carpano Antica for the sweet vermouth; replace the Campari with Cardamaro (made, perplexingly, from cardoons); or make a Negroni Sbagliato (translated as a “wrong” Negroni) by using sparkling wine in place of the gin for a lower-proof experience. #(clear n8). Sample Lillet Blanc. The first time I had Lillet Blanc, I thought it was the best-tasting thing I had ever had. At my house, a bottle rarely lasts more than a couple of days. Made from Sauvignon Blanc, Semillon, and Muscadelle grapes and bittered with cinchona, Lillet is light, citrusy, and perfumed; it's the perfect pairing for rich cheeses. Lillet is made with mistelle, grape juice that has been lightly fermented and is therefore still very sweet. I recently made an easy Lillet Blanc Blackberry Sauce that was the perfect counterpoint to a rich mascarpone cheesecake — and also delicious in a glass of sparkling wine. p(bio). Margarett Waterbury is an Oregon-based writer, editor, and employee at Gathering Together Farm.